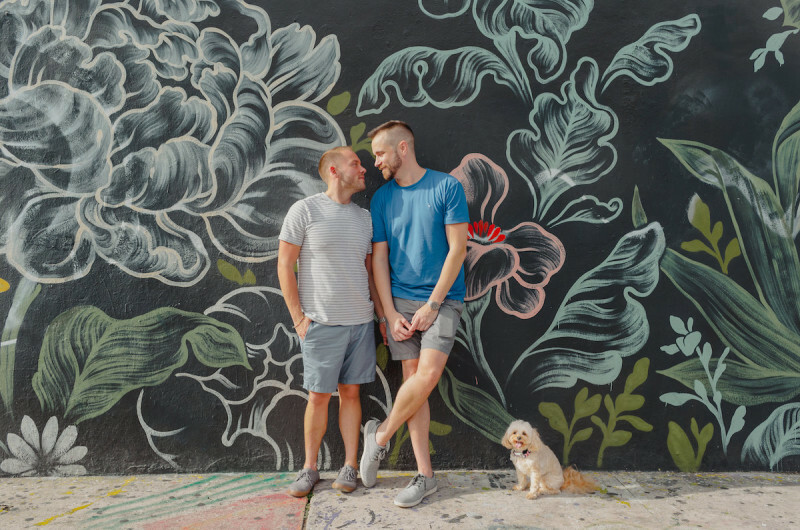 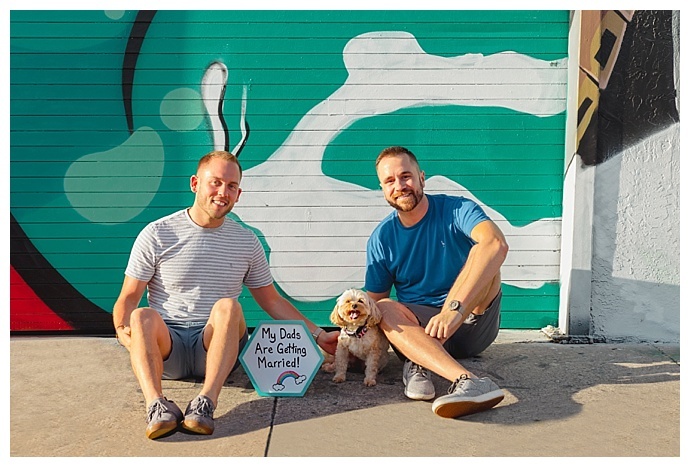 As they returned to the site of their first date, this time they brought along an addition to their family, their sweet dog, Alfie, who was an important part of Bret’s proposal. 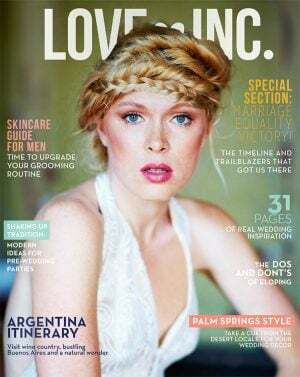 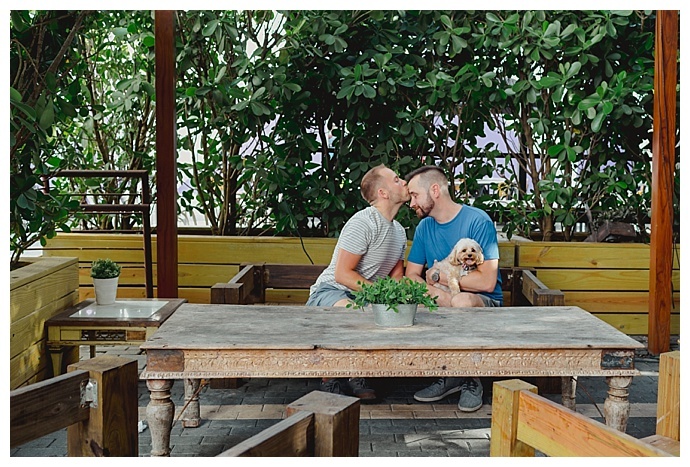 “Alfie was obviously the picture perfect accessory,” Bret says. 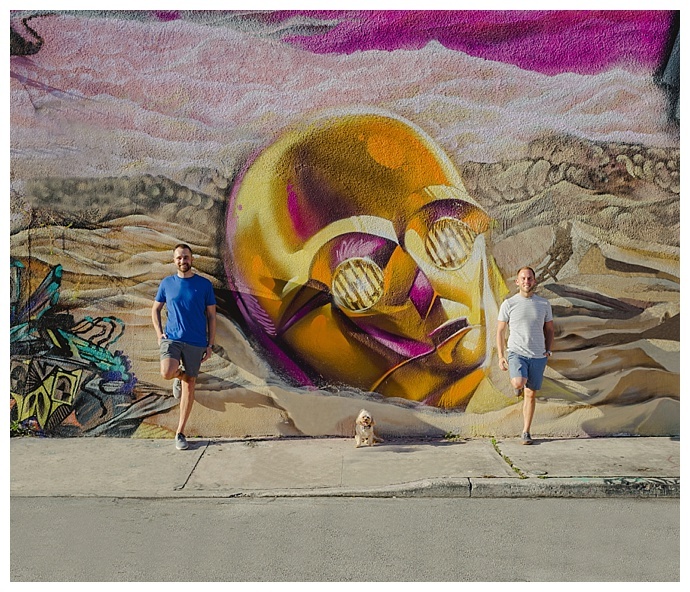 “He stole the show!” And indeed he did. 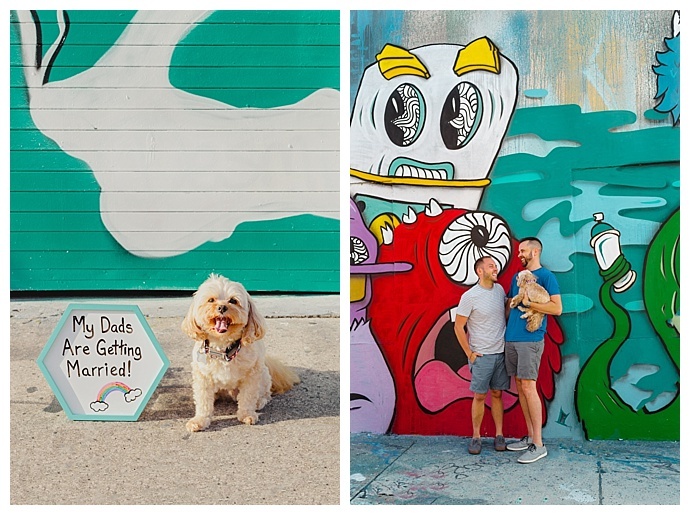 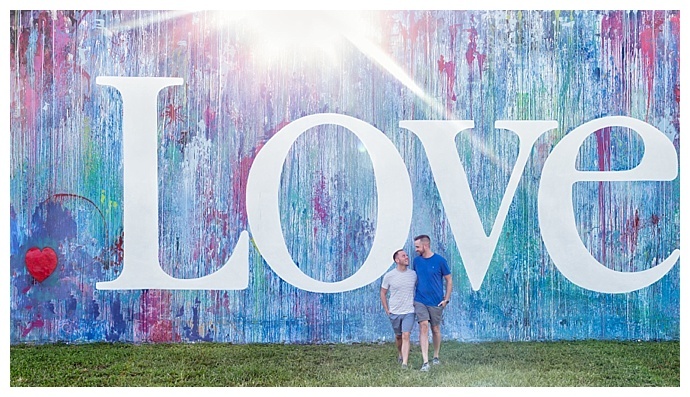 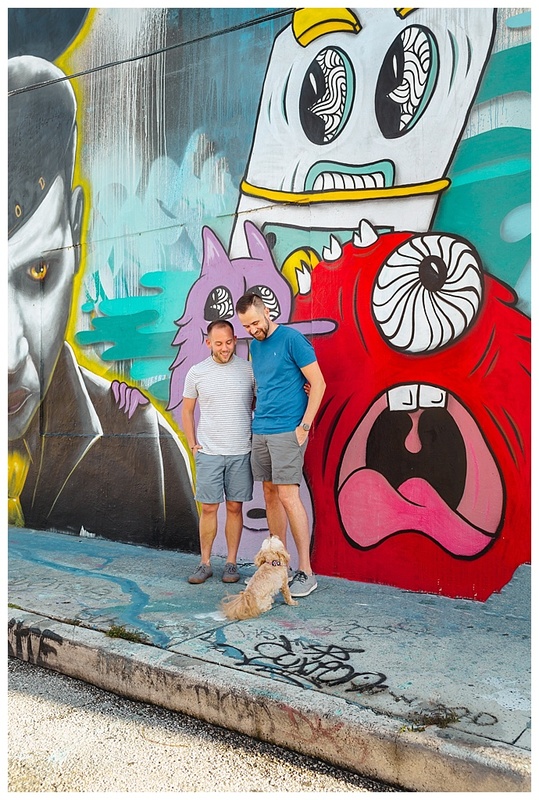 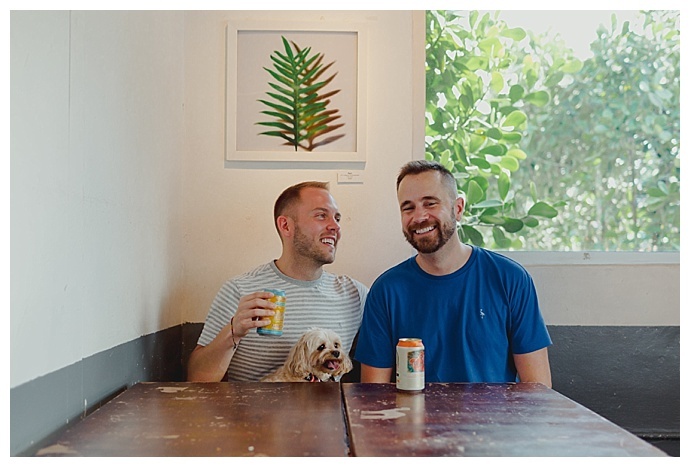 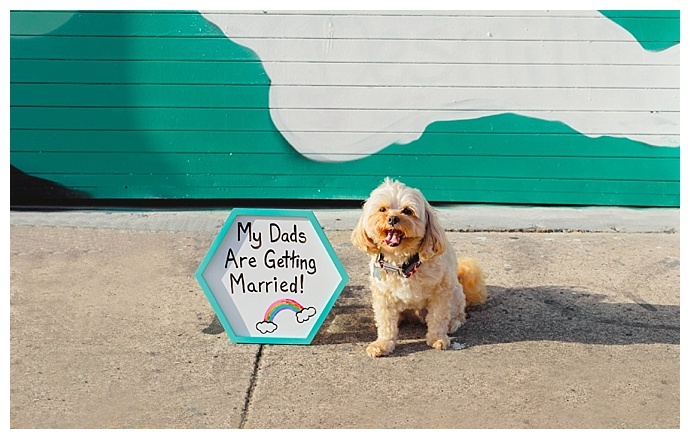 Some of our favorite photos out of the bunch include their pup and a sign that Bret made the night before the shoot that said: My dads are getting married! 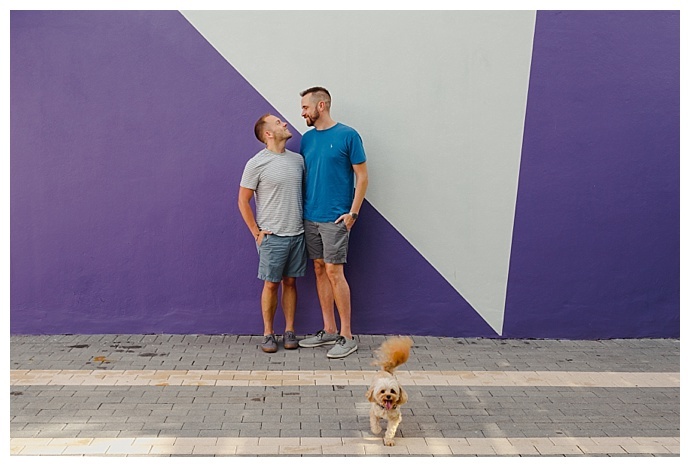 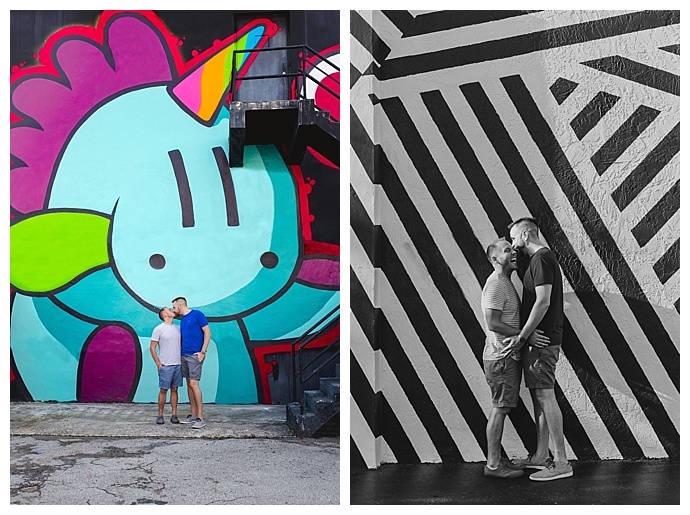 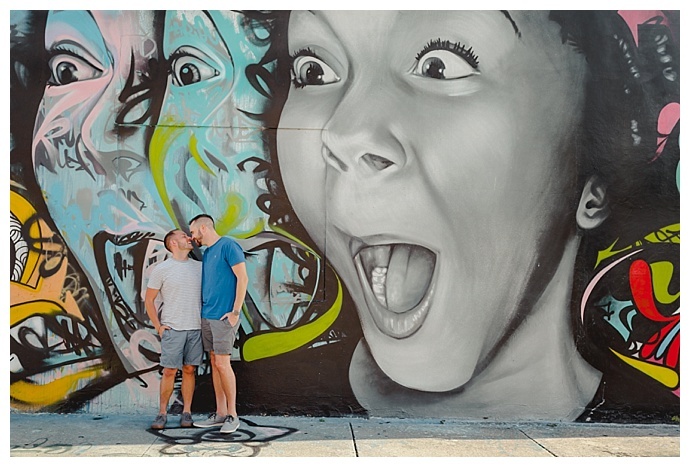 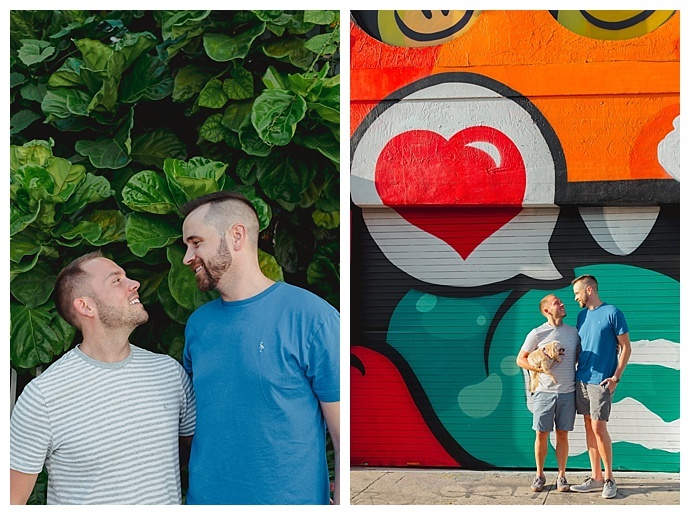 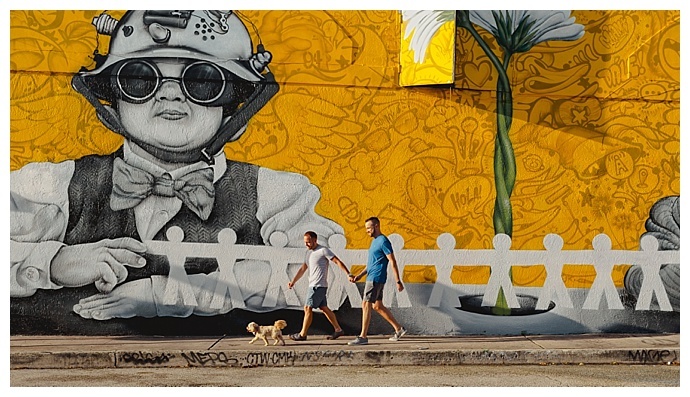 Between the colorful walls and beaming smiles, it’s clear these two — three, including Alfie! 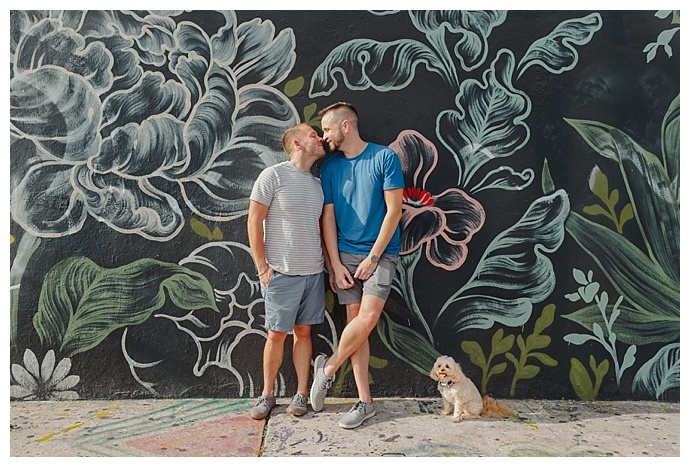 — share so much love between them.